Downtown Mobile is full of creativity and charm located along the center of the Gulf Coast. The dynamic economic ideas for redevelopment of Downtown Mobile are remarkable for the 300 year old city’s preservation. Being the twelfth busiest port in the country, Mobile is considered to be the social, economic and creative hub of the entire Gulf Coast, drawing people near and far for centuries. With a commercial real estate sector that is soundly robust, Downtown Mobile has more than 3 million square feet of retail and office space to offer. 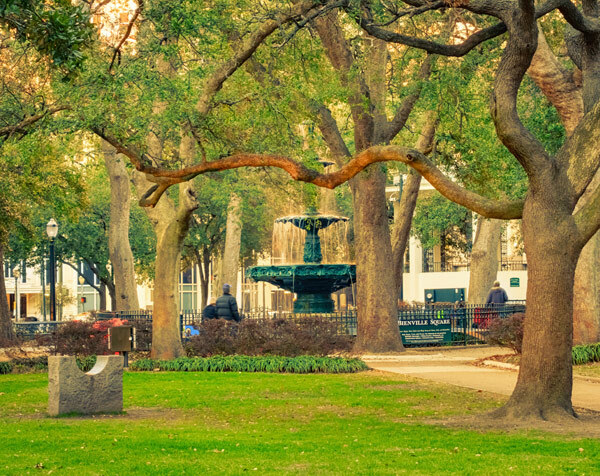 Downtown Mobile is rich with urban living and offers an extensive variety of housing options in its surrounding area… from historic antebellum homes to extravagant townhomes to distinguished residential homes. The low cost of doing business, diverse industry platform, historic charm and quality lifestyle continue to draw businesses and people to Alabama’s oldest city. Mobile is home to America’s Original Mardi Gras and each year, it hosts the oldest organized Carnival celebration in the United States, right in the heart of downtown. The festival began to be celebrated in the first decade of the 18th century, during the city’s French colonial period. Downtown is the hub of cultural, social and celebratory events. Colorful downtown has drawn people for centuries. Large businesses are headquartered in downtown Mobile right next to quaint, locally-owned art galleries, shops, restaurants and bars. In downtown Mobile, brunch is a sport, shopping an art and socializing a must.